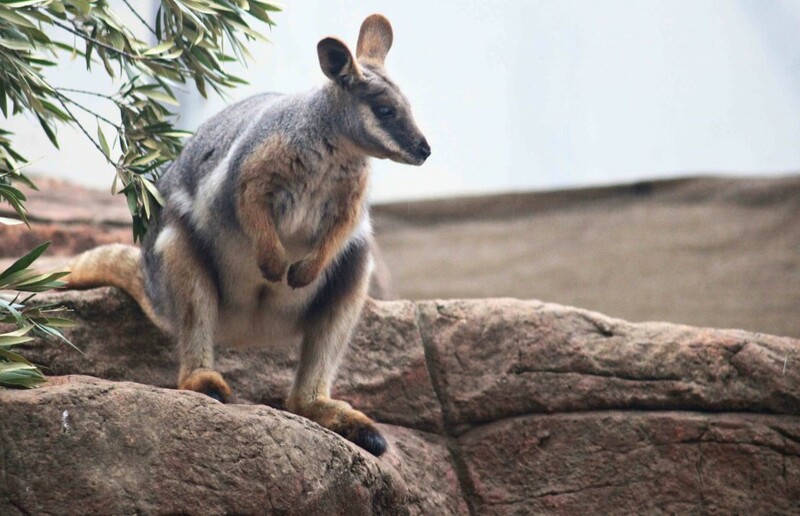 In Australia, the yellow-footed rock wallaby is a rare species, with numbers on the near threatened wildlife conservation watchlist. Being a smaller species, about 80cm, as an adult. They have fallen prey to cats and foxes over the years and their specific habitats are now in decline. With isolated species in NSW, SA, and QLD. Being able to photograph such a rare animal today; there is not much to say. However, you will not the very robust and yellow feet on this wallaby. Alongside the striped tail. This is an animal that most Australians have not seen.